Of the world’s oldest and most famous civilisations, the pharaohs of Egypt is up there with the Mughal dynasty that once ruled over India’s many kingdoms. Both are still referenced heavily in art and fashion thanks to their opulent style, mythology and power. 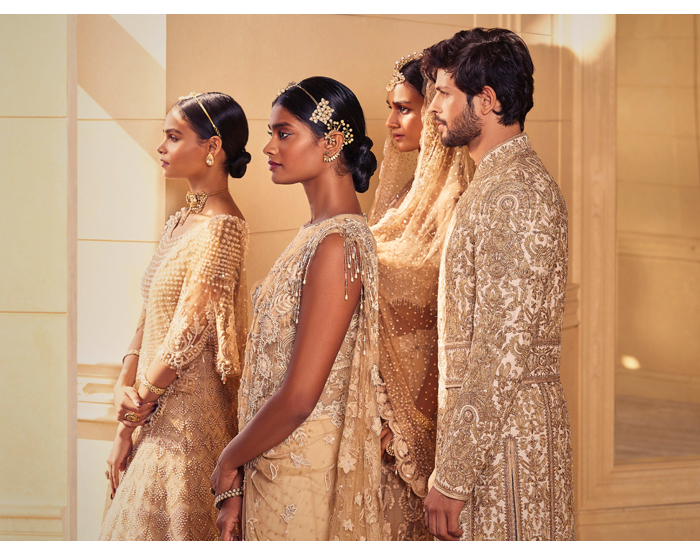 Now Indian couturier Tarun Tahiliani has fused these two inspirations for the brand’s SS19 collection, India by the Nile. 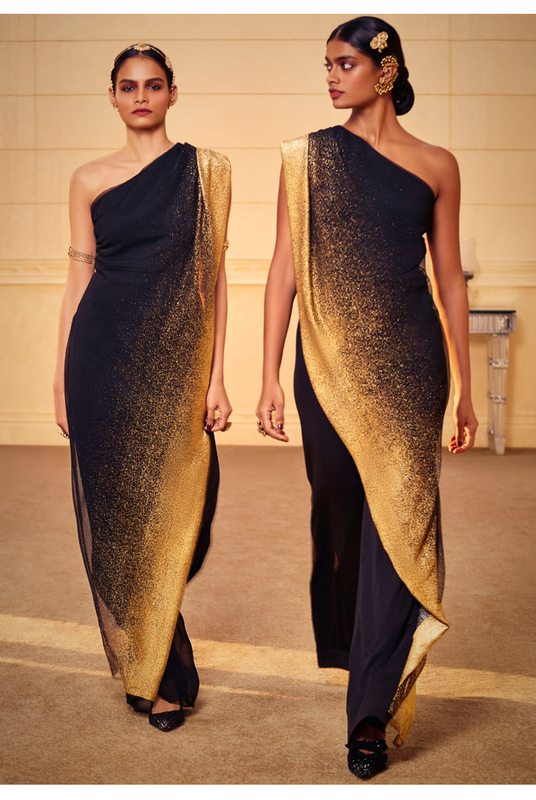 Conceived while the designer was cruising down the lazuli waters of the Nile on a trip to Egypt, this collection dives deep into the ancient archives to retell the country’s historic legacy through poetic design. It marries cultural symbolism and iconography with a contemporary approach staying true to the label’s DNA. Tahiliani said: “The Egyptian experience is so enormous and spectacular, that it completely engulfs you. 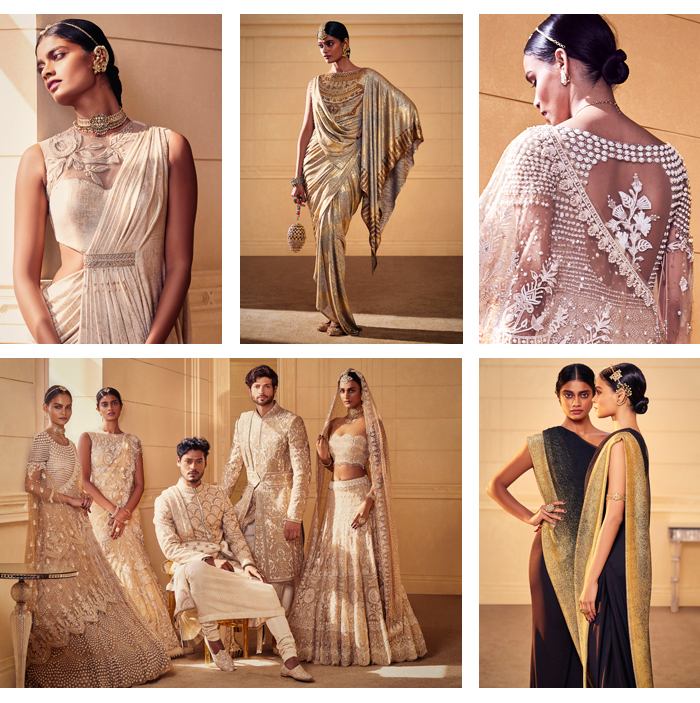 On my recent visit, I was struck by the gold, the glamour, the way they use semi-precious stones and drape their ivory linen fabrics — it all reverberated so perfectly with our own design philosophy.” The result? 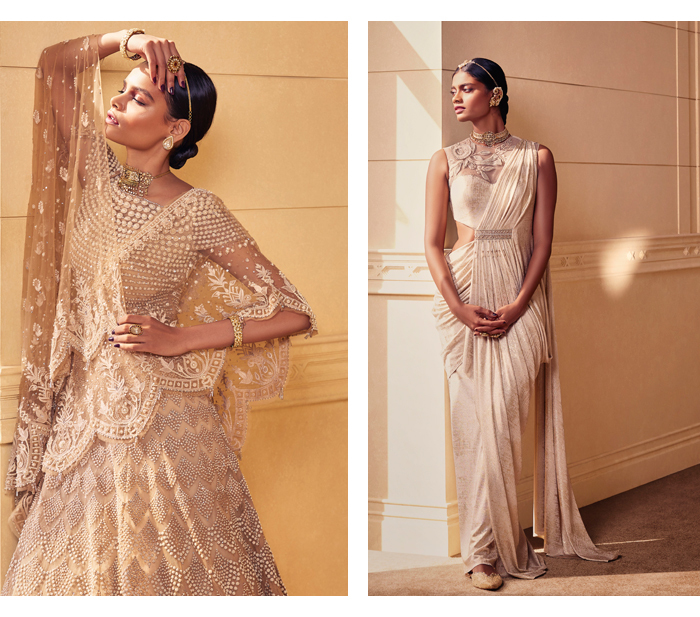 A glamorous dipped-in-gold collection that references Egyptian iconography and Art Deco patterns via traditional Indian techniques, silhouettes and colours. 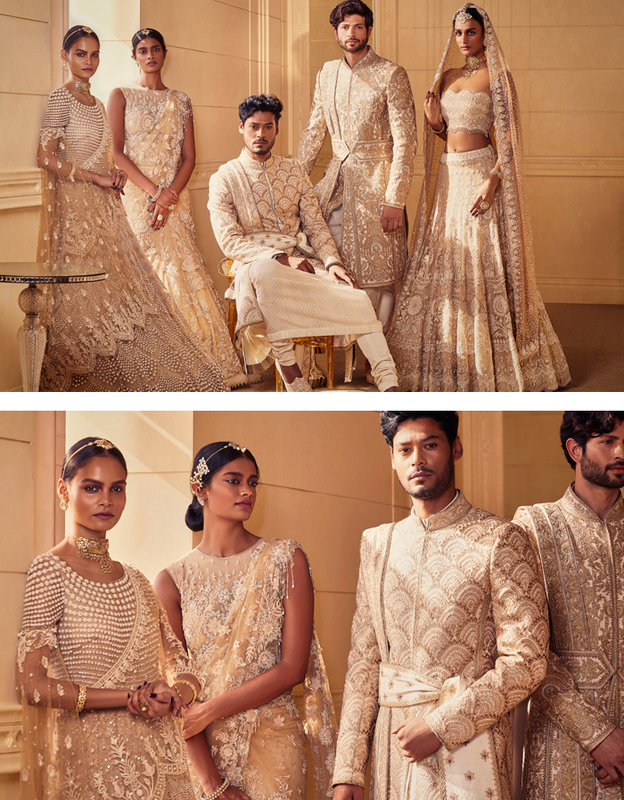 If you're looking for inspiration for a stunning wedding reception wardrobe, this is it. The collection includes occasionwear, ready-to-wear, menswear and accessories. 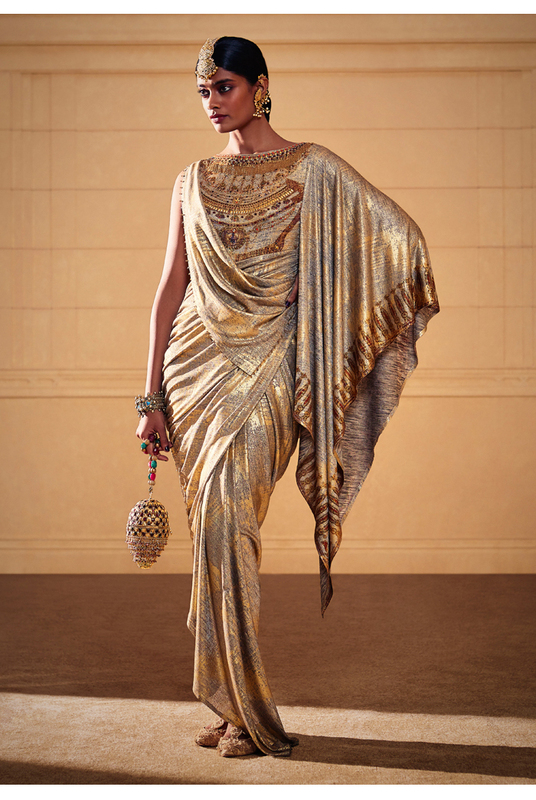 The Accessories line takes the collection’s glamour quotient up a few notches with ornate evening bags and girdles. Structured bag shapes reference Egyptian architectural feats, and are doused with crystals, hand-sewn pearls, zardozi and french knots. Some bags also feature detailed beaded han-dles, tassels and fringes that pay a fitting homage to the legendary Pharaonic necklaces made with lapis lazuli, turquoise, coral and carnelian stones. 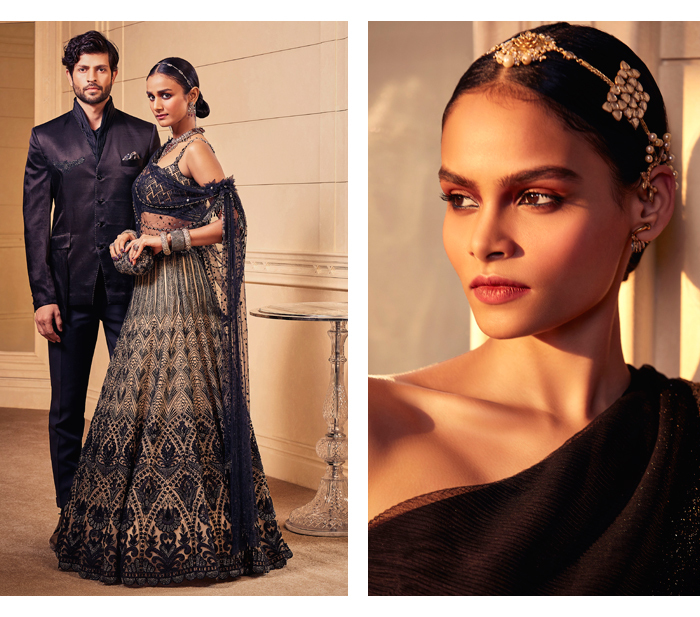 Bejewelled waist-belts make for a stunning focal point on draped dresses, concept saris and lehengas, while also helping in creating a more cinched-in silhouette.